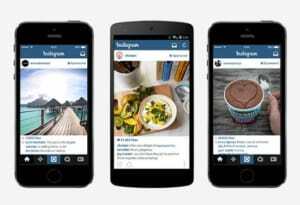 He said while some local brands, such as Qantas and Vegemite, are using the platform for paid advertising, there are few brands aggressively using Instagram in a paid capacity. Surf brands Quiksilver, Hurley, Rip Curl and Billabong all snagged spots in the top 20 accounts by followers, with fashion brands Showpo and Cotton On following. When broken down by category, Audi topped the list in automotive with 20,000 followers; Napoleon Perdis Cosmetics had the edge in the beauty category with 154,000 followers. Deakin topped in education with 14,000 followers, and Harper's Bazaar took the leading spot in the news and magazines category with 153,000 followers. Billabong, Quiksilver, Lorna Jane and Cotton On have some of the most successful Instagram accounts in Australia, according Online Circle's first local analysis of the social media platform. The digital agency's Instagram Performance Report, which examined 300 Australian brands by followers and by engagement from 6 August 6 to 30 September, revealed lifestyle, fashion and food are the leading users of the mobile app. But its fitness stars and fashion bloggers that are the most influential, with Bikini Body Guide's Kayla Itsines leading the list of the top 20 accounts by following and engagement, with almost four million followers. She is followed by style guru Jessica Stein, with 1.9 million followers, and model Natasha Oakley with 1.4 million. Lead strategist at Online Circle Digital, Lucio Ribeiro, said with more than six million Australian users the report reaffirms Instagram as the platform of choice for “influencers” or celebrities that “use imagery to transport users and tell stories".